When a chemical is spilled, someone has to clear it up. This might be the person who spilt it or, possibly, a trained response team. Whoever it is, they should know about the hazards and risks posed by the substances involved, have access to the appropriate personal protective equipment (PPE) and follow some kind of plan. The Chemical Spill Response course is designed to provide you and/or your staff with sufficient knowledge about the theory of spill response to enable you to plan for and respond to incidents in your own organisation, such as a spillage in a laboratory or warehouse, or even a leak from a bulk tanker that has rolled over. This one-day, modular course teaches chemical hazard awareness coupled with the theory of spill response. There is also the option of adding a practical exercise to test your ability to deal with an incident in your workplace. NCEC’s Chemical Spill Response course provides you with the ability to recognise hazards and understand the information that accompanies chemicals. It offers a comprehensive view on the properties of chemical substances and how they might behave when spilt. 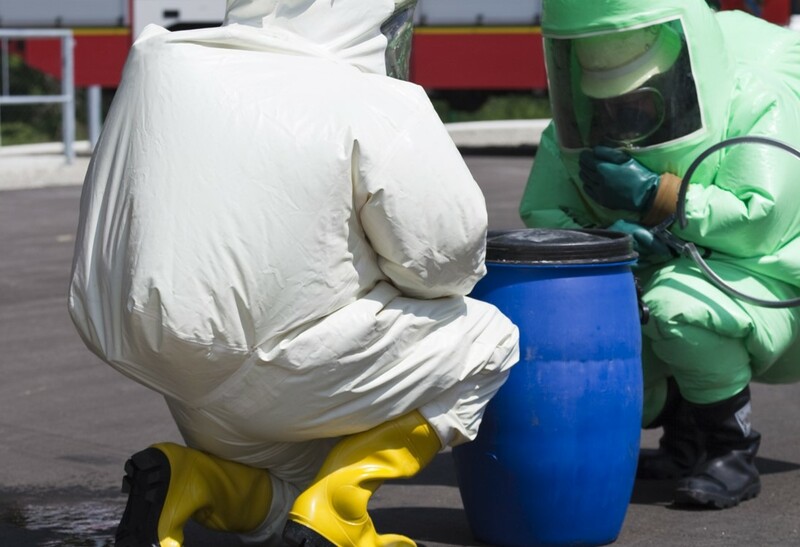 This will help you to fully assess the risks, devise a plan to deal with any spillage and ensure the response team follows a safe way of working The structure of the course means we are able to customise the content to include the chemicals found at your premises and to incorporate your organisation's spill procedure. Course overview A one-day training course that is ideal for those who are considering setting up or already have a spill response team in their workplace. • Hazard Identification – learn how to obtain hazard and risk information quickly (e.g. from Hazchem placards and labels) and how to turn a safety data sheet (SDS) into an emergency document. • Properties and behaviour – know how chemicals may behave in different circumstances when released from their containers. • Chemical effects and first aid – the ways in which you can be exposed to substances, the effects they may have on you and some simple steps to take if you come into contact with them. • Assessing the situation – consider how far an incident may have progressed and what might happen next. • The theory of response – learn how to plan a response instead of rushing in. A tool to guide you from start to finish with response options and incident site management arrangements, and debriefing before leaving the scene. Practical response Optional practical sessions can be added after the classroom work*. • The opportunity to practise your procedure in your own workplace. • Hands-on experience of using protective clothing and spill kits. • Demonstrating how quickly incidents can escalate. • A realistic understanding of the problems that face response teams. * Please note that the addition of practical sessions means that the theory modules are abridged. Who is the course for? The Chemical Spill Response course is aimed at anyone involved responding to a chemical spill in the workplace. Past delegates include couriers, waste clean-up contractors, laboratory workers and safety personnel.